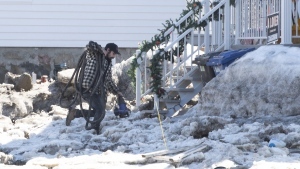 Two people have died following a spectacular car crash in Joliette on Wednesday morning. At least three vehicles were involved in the collision, which happened on Rte-158 near Blvd. de L’Industrie just after 11:00 a.m. 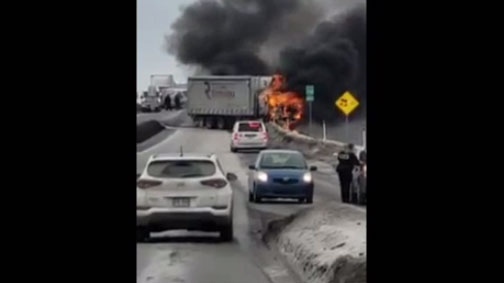 Cell phone footage showed a truck engulfed in flames on the scene. The two victims succumbed to their injuries in-hospital. Police have stopped traffic in both areas while the site is cleaned up and an investigation is conducted. A car crash in Joliette involving at least three cars sent two people to hospital in critical condition on Wed., Feb. 6, 2019.